Metzger would go on to make a legacy of his own, one that would be comparable to that of Robertson’s. The zealous student would later attend Princeton and become one of the most prestigious textual critics to date. 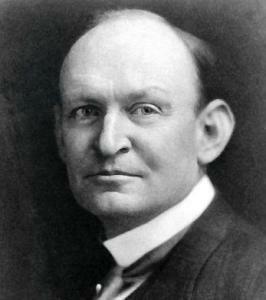 It has been speculated that Metzger desired to study with Robertson, but unfortunately Robertson died before that could be a possibility. Would Robertson’s dismissal of the letter prevent Metzger’s future success? No, probably not. However, we should not be quick to dismiss its importance. A young man reaches out to someone he admires and is not disappointed. At the very least it was encouraging and encouragement is no small thing. This is the power of a response. John Piper received a rejection letter? Whatever happened to that guy, anyway? That is another blog post for another time. Here it is important to notice that much like Metzger looking to Robertson, Piper admired the professor so much that he was ready to move to New Jersey and learn at his feet. He was disappointed; of course, but did you notice what Metzger did? “He wrote me a personal letter to ease my disappointment.” This is the power of a response. As many know, Piper went on to get his PhD from the University of Munich, Germany and taught biblical studies before becoming the pastor at Bethlehem Baptist Church in Minneapolis, Minnesota. He would pastor Bethlehem for over thirty years. As I reflect on these stories several thoughts come to mind. The first is how powerful a quick note of encouragement can be. The young Metzger was basically a “nobody,” but the prestigious Robertson did not treat him that way. Piper wasn’t one of the elite four chosen to study with Metzger, but the Princeton scholar didn’t consider it beneath him to write a personal letter of encouragement. In the day of email and social media it might seem that a response has lost its power, but that would be a mistake. In fact, communication is now easy and having access to people you admire is even easier. They are just an email away. So, allow me to encourage professors and scholars out there who receive emails from people they will never know-don’t underestimate the power of a response. Perhaps as a visitor, you go to teach a class for a few days-don’t underestimate the power of passion for your field and kindness to your students. You simply never know who is reaching out, who is watching, and who you are inspiring. The amount of emails you receive is probably outrageous. The intended point here is not guilt. Nor is to say that every person deserves a response, all the time. No one can answer every email. However, the point is just to draw attention to the fact that someone may look your way for encouragement. Although a short note may be trivial to you-it may mean much to them. As for students, it is important to learn that it is OK to look up to others. Don’t be afraid to seek them out. Sure, some will not respond. But if you desire to be good at something, find the one who has gone before you, mastered the craft, and reach out for advice. Maybe, just maybe- you’ll experience the power of a response. Charles Draper, Letters to A.T. Robertson in the Southern Baptist Journal of Theology Vol. 5 No. 3, 2001. Desiringgod.org, Personal Tribute to Bruce Manning Metzger, accessed 1/13/2016. 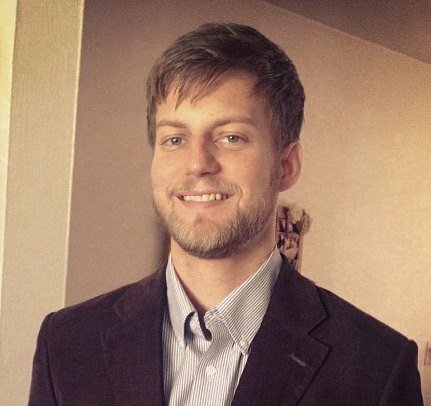 No Shame in Needing a Tutor: Confession and Encouragement to fellow Seminary Students. When I first took Greek and Hebrew in undergrad I didn’t do very well. There I said it. No, my grades weren’t horrendous, but I didn’t learn the language. I sat through the class miserable, because I failed to do simple things that would have helped me. I failed to understand myself. I wasn’t honest about what it took for me to learn something that difficult. Furthermore, I also lacked the work ethic to seek help. Unfortunately, this was symptomatic of a lifelong struggle. For the majority of my life, I have struggled with the reality that things just don’t come as easy to me as they do for other people. I have always just been “average” so to speak. I often don’t do well with open response questions, as if I experience some sort of random aphasia when asked a question in class. I always need reinforcement from different mediums when learning new concepts: video, audio, reading, and visual illustration. I just simply need more time and work when doing difficult things. This troubled me when I was younger and struggling to learn Greek and Hebrew was a serious blow to my confidence: “I’m just not that smart” replayed in my head for a long time. However, because of God’s grace in Christ, over time I have been able to find my identity in Jesus and not in my achievements or others opinions of me. God requires faithfulness, not perfection and that is good news. Perhaps you are like me. You find yourself struggling with learning new ideas and realize that this is not necessarily due to lack of desire or work ethic. So how might we pursue faithfulness when learning difficult things? What we simply need is a little bit help. With this in mind, I want to encourage students like me to consider exploring the possibility of finding a tutor. Yes, a tutor. Finding someone who has mastered your subject can create great community and help assist you in learning. After all the best learning is done in community! When I got to SEBTS I was eager to take another stab at the biblical languages. However, this time around I knew more about myself. So, when I heard that a PhD student was offering free tutoring for Greek 1 & 2 students, I seized the opportunity. For two semesters we met weekly and hashed out the concepts, which were foggy in my head. This experience allowed me to go into class with a much greater chance of actually learning the material! The long and short of it is this- I am now in take Greek exegesis courses on Ephesians and 1 Timothy and doing quite well. I still make mistakes, mental errors, and still have to reinforce concepts that come easier to others-but I am learning the language! This is not to mention the fact that I gained a new friend who still finds ways to encourage me even now. After this experience I have decided to do the same thing for Hebrew. Actually my Hebrew tutor couldn’t meet this week because he is visiting schools in Israel to potentially study Hebrew linguistics (I may have found the right guy for the job!). Here at SEBTS we have a killer MA in Old Testament program, which makes finding a Hebrew tutor quite easy. So, if like me you have often found yourself struggling with difficult things, believing the lie from Hell that you’re stupid, or just want to get better, hear me now- find a tutor! There is no shame in getting help, ever. Pray- Ask God to provide the resources you need to accomplish your task. If possible find someone who is a Phd student as a tutor. They simply have been in your field longer. If neither of these options are available, be observant and find the best student in your class. Attempt to build a relationship so that you can study in community. This is no quick fix. Learning difficult things takes a great amount of work. However, what worth learning has ever been easy? You are going to make mistakes. You will have bad days. However, if you are learning in community there will always be someone there to encourage you to keep working. At the end of the day- some of us just need a little help and that is ok. The word “prophecy” strikes fear and trepidation into many students of the Bible. This is not only because of the genre’s difficulty, but also because of the endless parade of doomsday predictions concerning Jesus’ return, associations of social security numbers with the mark of the beast, and the delightful folks who have 10 gallons of water stored away because of the coming apocalypse. Prophecy has developed a bad image. We could blame Nicholas Cage, but that clearly would be going too far. Many Christians simply do not know what to do with biblical prophecy. This is unfortunate, for to read the bible ‘rightly’ is to read the bible with a healthy understanding of biblical prophecy. 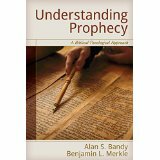 In Understanding Prophecy Alan Bandy and Benjamin Merkle seek to remove this fear of prophecy by offering a hermeneutical method which is both biblical-theological and gospel centered. It is their contention that a proper reading of the Bible cannot be had without a proper understanding of prophecy, they write, “Understanding prophecy is essential for understanding the message of the entire bible. Prophecy, therefore, is intrinsic to Scripture and its theology” (17). Throughout the book readers will have this importance pressed upon them as the authors repeatedly prove that their project is warranted. In order to communicate a gospel-centered approach to biblical theology the authors clearly define their terms before demonstrating their methodology. In the chapter dedicated to the question, “What is prophecy?” Merkle and Bandy helpfully point out that prophecy contains both forth-telling and foretelling elements. (38) Furthermore, interpreters of prophecy need to account for the literary genre by noting the figurative language and symbols used. While emphasizing an understanding on how prophecy communicates through figurative language and symbolism, importance is also placed upon the historical context (60). The authors then give special attention to prophecy’s relationship to biblical theology. After surveying several possible definitions for biblical theology, the authors provide four presuppositions inherit in each of them: The Bible is God’s Word, God’s Word contains a unified message, The unified message of God’s Word centers on Jesus, and Jesus’ death, resurrection, and ascension are the climax of redemptive history (63-64). Furthermore, the authors convincingly show that a good, biblical theology will contain an understanding of revelation that is progressive and utilizes typology. They write, “Properly understood Biblical theology acknowledges that the Bible contains a unified message and that Christ is the center of that message. The revelation about Christ was made progressively clearer throughout the Old Testament but has been fully revealed only in the New Testament” (81). The authors not only clearly define their terms, but also successfully demonstrate how to do biblical theology. By carefully organizing the body of the book, the authors apply their gospel-centered biblical theology to Old and New Testament prophecies with special attention to their literary genres. Concerning the Old Testament the authors discuss unconditional, conditional, and fulfilled prophecies, as well as restoration and Messianic prophecies. In the section on the New Testament the discussion focuses on prophecies concerning the coming and return of the Messiah in the Gospels/Acts, the Epistles, and Revelation. Although a full discussion of these passages cannot be had, the authors are to be commended for their attention to the figurative language of Old Testament prophecies and for their emphasis on inaugurated eschatology (already-not yet) regarding the New Testament. To be sure, readers of Understanding Prophecy will learn to do biblical theology better as they wade through the careful exegesis by Merkle and Bandy. A unique aspect of this book is that although the authors share the same hermeneutical approach regarding prophecy, they come from different eschatological positions: Merkle (amilennial) and Bandy (historic premillennial). This should be a great encouragement to students of Scripture. Merkle and Bandy show that although disagreements may exist, a great deal of agreement can be had! The church needs more of the humility and cooperation that these authors express. Although there are a few minor editing issues (namely the omission of a Scripture index) in Understanding Prophecy Merkle and Bandy have offered a faithful reading of prophecy through a gospel-centered biblical theology. They steer readers away from unfortunate doomsday readings and offer a robust reading in light of the gospel of Jesus Christ. Thus, they achieve their goal in offering a hermeneutical framework for interpreting biblical prophecy. Readers not only feel the important weight that should be given to prophecy, but are provided with a faithful guide of interpretation. This work is well researched, well written, and deserves to be widely read. 6 Forthcoming Books In Biblical Studies To Be Excited About. Working in a library motivates me to keep an eye on books that are soon to be released. Here I preview five exciting books in the field of biblical studies to be released this Fall/Winter. What other books are you looking forward to? 1. 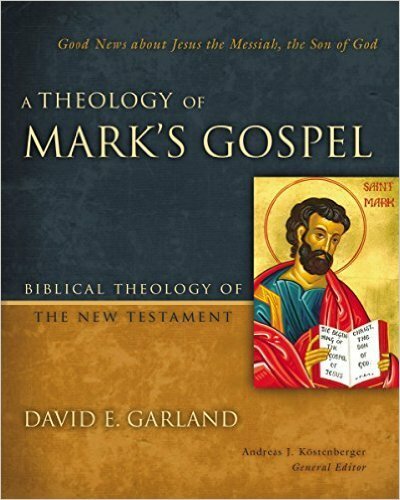 David Garland, A Theology of Mark’s Gospel: Good News about Jesus the Messiah, the Son of God (Biblical Theology of the New Testament Series) Garland is one of my favorite commentators on the text. Along with other scholarly works, he has written commentaries on Mark (NIVAC), Luke (ZECNT), 1 Corinthians (BECNT), and 2 Corinthians (NAC). He also serves as one of the editors for Expositors Bible Commentary. You can preorder it here. 2. 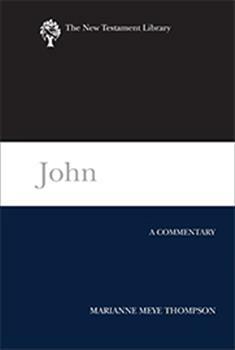 Marianne Meye Thompson, John: A Commentary (New Testament Library) I was first exposed to Thompson when she delivered a lecture at Wheaton College interacting with N.T. Wright’s book, Jesus and the Victory of God. I found her to be fair, thoughtful, and interesting. I have wanted to read her more since. She has also written a commentary on the Epistles of John (IVPNT) as well as Colossians and Philemon (Two Horizons). You can preorder it here. 3. 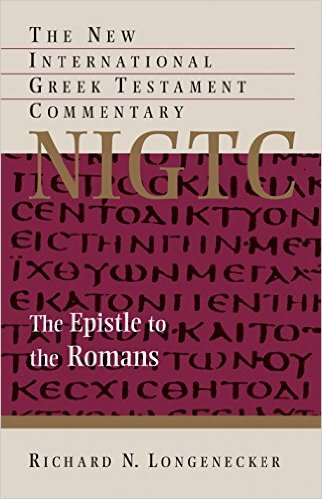 Richard Longenecker, The Epistle to the Romans (New International Greek Testament Commentary) Anyone who has used Longenecker’s commentary on Galatians knows that this will be an exciting new commentary on Romans in a much respected series on the greek text. You can preorder it here. 4. 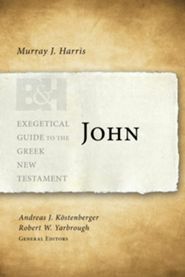 Murray J. Harris, John (Exegetical Guide to the Greek New Testament) Harris wrote the initial volume of this series (Colossians and Philemon) and once served as it’s editor. This series continues to receive positive reviews as the volumes are published. I look forward to this new volume by a much respected New Testament scholar. Preorder it here. 5. Peter Gentry and Stephen Wellum, God’s Kingdom through God’s Covenants. 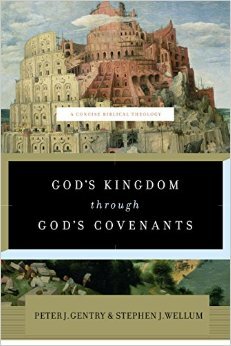 Kingdom Through Covenant offered many helpful insights into the meta-narrative of Scripture. I am convinced their progressive covenantal view deserves wide consideration, which is why I am excited to see a more accessible version in print. Preorder it here. 6. 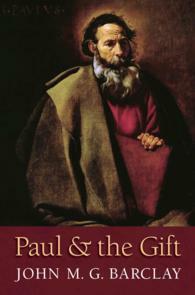 John Barclay, Paul and the Gift. The debates surrounding Pauline Theology are fascinating. Although I have only read Barclay here and there I am excited any time a new theology on Paul is published. Preorder here. The authors then show how these four presuppositions affect the reading of biblical prophecy. They also highlight how each presupposition is represented in the various definitions they survey. Although there may be some differences in various approaches, these four points remain true. The book can be pre-ordered at amazon. The decision to move to Wake Forest and attend Southeastern was a difficult one. We chose to come here largely because of the seminary’s focus on the Great Commission. Kelsey and I both realized we needed the Lord to work on our hearts in this area specifically. Thus, I am encouraged to inform you that I will be going to Malaysia May 16th-28th. This will be my first international mission trip and I am very excited! I would like to ask that you please be in prayer for me as I go. It is my genuine concern that I would be able to love the people I meet and bring the gospel to them. However, I am also praying that the Lord will do a work in me. I hope I come back with more love for those who don’t know Christ and a stronger desire to get the gospel to them. As I am sure you are aware, international trips of this nature can be expensive. Primarily, I am in great need of your prayers as I go. However, if you are able- I will be greatly blessed by your support. Unfortunately, because of my late sign up I have limited time to raise the rest of the funds. Any help you can give will be much appreciated. Above all, pray that God is glorified as we go to Malaysia.